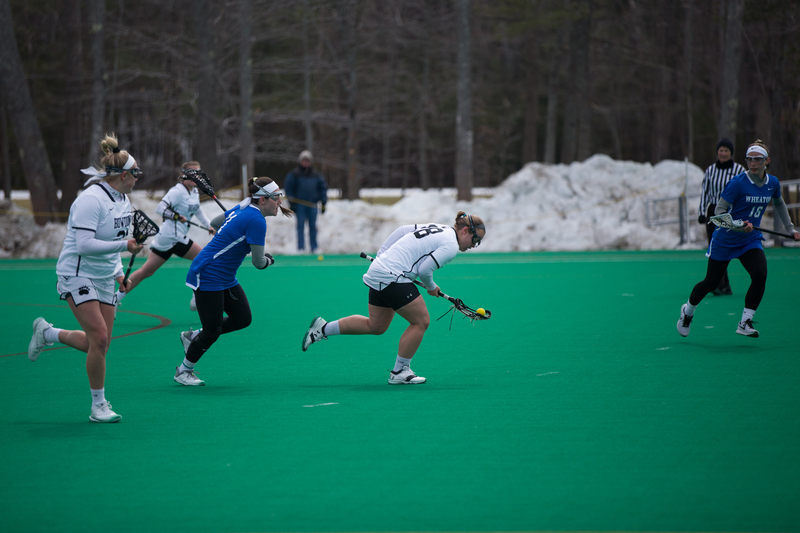 No time to relax: Paige Brown ’19 runs down the field in the game against Wheaton on Sunday. The team won 16-5 and dedicated the game to the One Love Foundation, a nonprofit that works to combat abusive relationships. The women’s lacrosse team (9-3, NESCAC 4-3) is on a three-game winning streak after beating Bates, Wheaton and, most recently, Colby in an extremely tight 12-11 game on Wednesday. The Polar Bears, who were not ranked at the beginning of the season, have had to quickly prove themselves among the NESCAC’s elite teams. 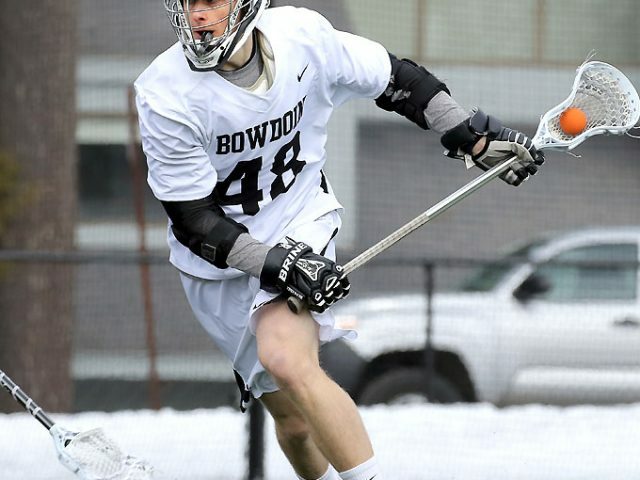 Alex Logan ’18, team captain, believes that the recent success has changed the team’s mindset. Logan said the team has also spent a lot of time watching game videos of themselves to learn from its mistakes. This year DII and DIII added new rules to the lacrosse handbook, including the impactful addition of a shot clock. Players can now only possess the ball for 90 seconds, which discourages teams from intentionally stalling the game. Head Coach Liz Grote supports the new rule and likes how it creates a more competitive defense. 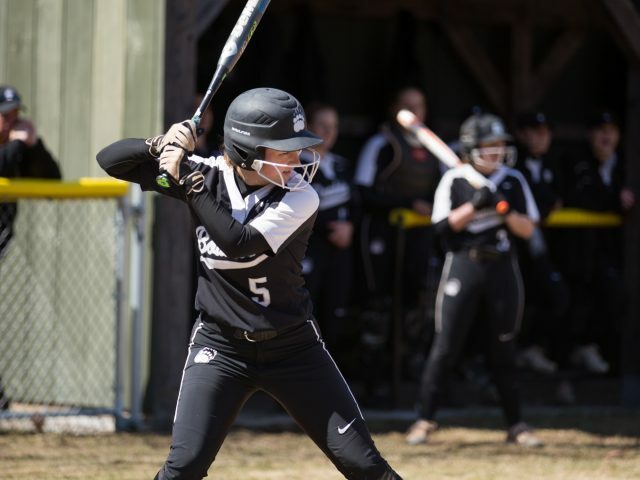 The team holds itself to what it calls the “Bowdoin standard,” which is a commitment for every player to perform her best in the face of pressures from other teams. 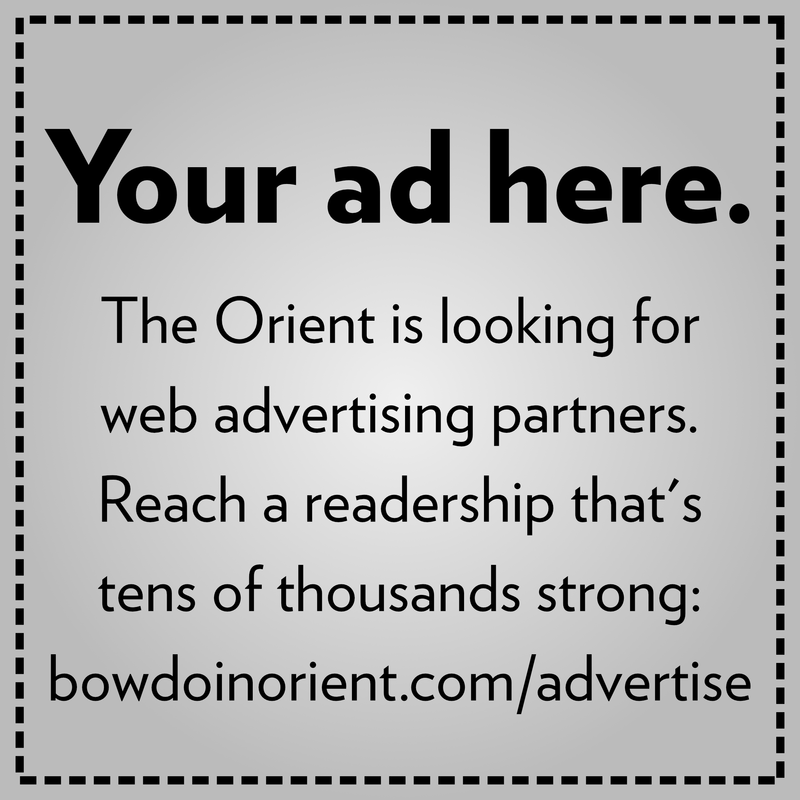 The NESCAC’s fierce competition makes this pledge essential. The team looks to maintain this commitment when playing out of conference opponents and was most recently met with success in its game with Wheaton, which increased its conference record to 5-0. The team’s win was special as the game was dedicated to the One Love Foundation, a nonprofit that works to combat relationship violence. The nonprofit was founded in honor of Yeardley Love, a lacrosse player at the University of Virginia who was killed by her abusive boyfriend in 2010. The Bears collected donations for One Love at the game against Wheaton. Erin Morrissey ’19 and Maggie Savage ’19 took the lead in dedicating the game to One Love, but the team quickly rallied behind the powerful message. Bowdoin will look to continue its streak on Saturday against Wesleyan at 12 p.m.
First one around: The men’s and women’s track and field teams opened their spring season at the Smith Pioneer Invitational with a dominating performance, winning 15 individual events and all four relays. Anne McKee ’20 won the 5000M by over 10 seconds with a time of 19:19.03, while Ben Torda ’18 won the 3000M steeplechase by over 30 seconds with a time of 10:03.86.